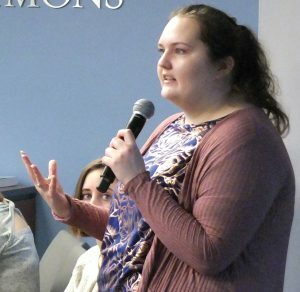 In partnership with American University, the Public Diplomacy Council offers an annual fellowship to students in AU’s interdisciplinary Global Media program, a joint master’s program administered by the schools of Communication and International Service. As a PDC-AU collaboration, this fellowship represents the PDC’s commitment to engage further with the academic study of public diplomacy while encouraging the next generation of practitioners. The fellowship also builds upon AU’s faculty strengths in this field while providing students with direct experience in the practice of public diplomacy, as they work closely with the preeminent public diplomacy advocacy organization in the Washington DC region in ways intended to complement and enhance their graduate education while at AU. Since 2013 the PDC Fellowship has offered AU graduate students in Global Media the opportunity to bring their academic and professional interests together to promote a broader understanding of public diplomacy. Past recipients have praised the opportunities the fellowship provides to work closely with public diplomacy professionals to gain a greater understanding of the field and to integrate their academic priorities in international communication, media and marketing, and related fields. Hunter Martin is the 2018-2019 Public Diplomacy Fellow. She is a second year graduate student at American University. During her fellowship, Martin is excited to work with public diplomacy practitioners from around the world to learn about how strategies do or don’t differ based on culture. Read more about Martin’s fellowship here: https://www.american.edu/soc/news/SOC-Student-Awarded-Public-Diplomacy-Council-Fellowship.cfm. Alma Burke served as the 2016-2018 Public Diplomacy Fellow. She graduated from American University with a Master of Arts in Global Media in May 2018, specializing in digital media and public diplomacy. During her fellowship, Alma played an integral role in the redesign and modernization of the Public Diplomacy Council’s website and content management. She is currently the Senior Database and Web Coordinator at Carnegie Endowment for International Peace. 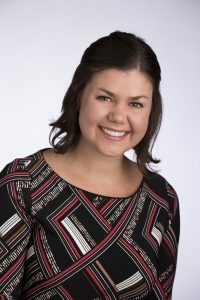 Tara Schoenborn enjoyed working with the diverse and skilled professionals at the PDC, who offered her advice, resources and connections that helped her make the most of her graduate experience. 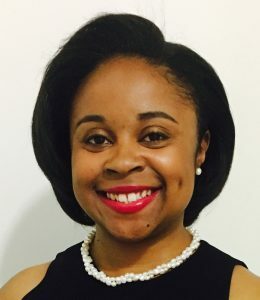 As the 2015-2016 Fellow, she appreciated the insight and guidance of those PDC members who provided the many learning opportunities that helped her further develop skills that she uses every day in her current role as a Communications Officer for the Santa Barbara Foundation in Santa Barbara, CA. Jesselle Macatiag was the fellow from 2013-2015. She credits her fellowship with the Public Diplomacy Council important in shaping her skills in communicating with foreign audiences, a skill she uses in her current role to influence and inspire international consumers to visit any of the nation’s 50 states, 5 territories, and the District of Columbia. She is currently a Senior Manager, Media Planning for Brand USA, the nation’s public-private partnership dedicated to increasing international visitation to the United States through marketing and promotional efforts. This is a competitive fellowship offered annually by the Public Diplomacy Council to Global Media graduate students at American University through the School of Communication, which includes a $15,000 stipend. For more information about the PDC fellowship, including required application materials and due date, visit: http://www.american.edu/soc/resources/fellowships.cfm#intmedia.